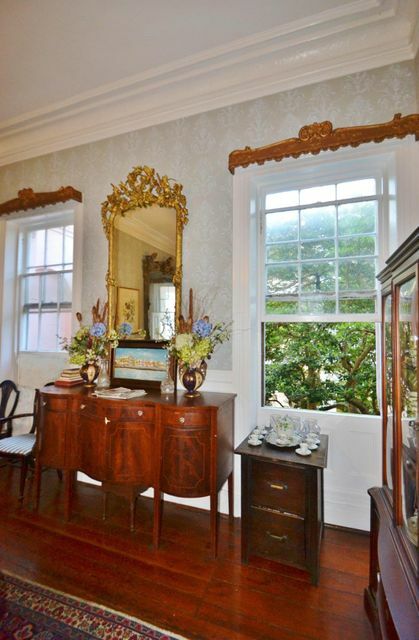 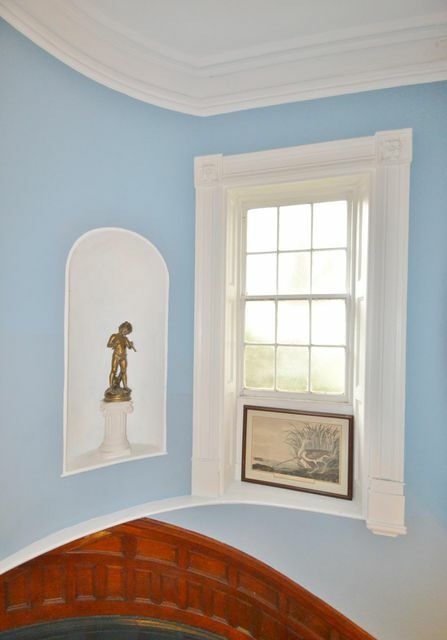 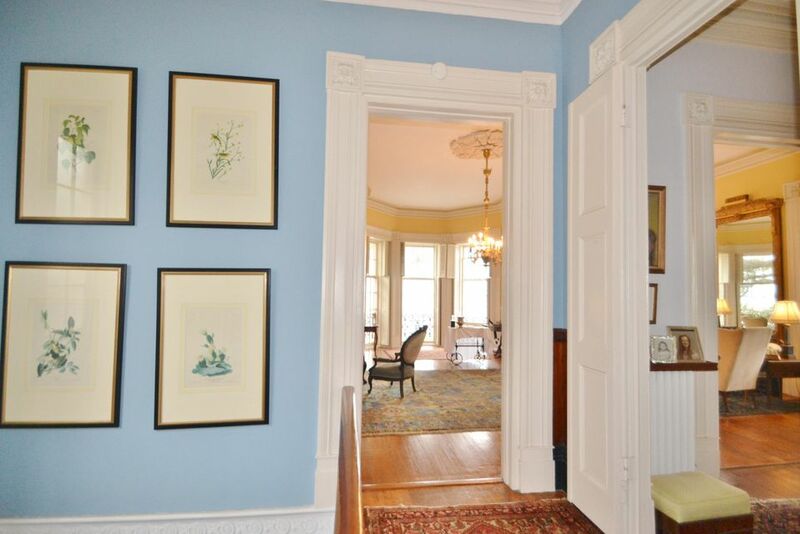 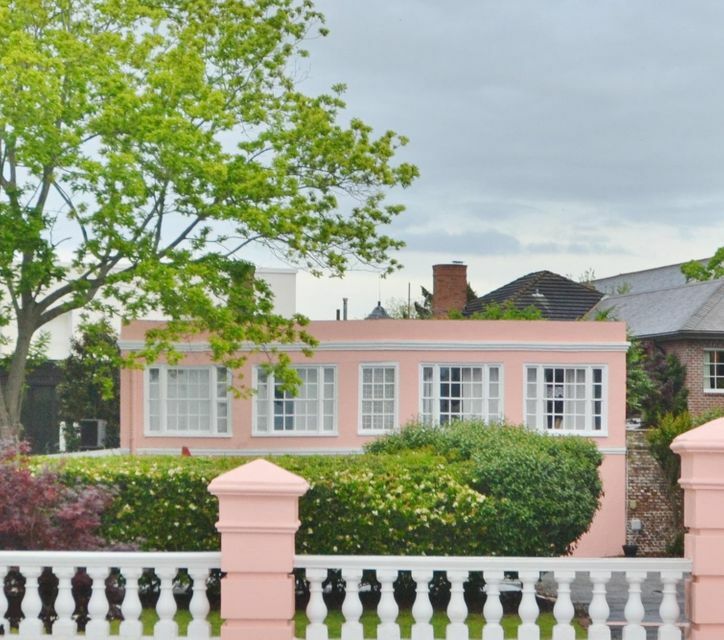 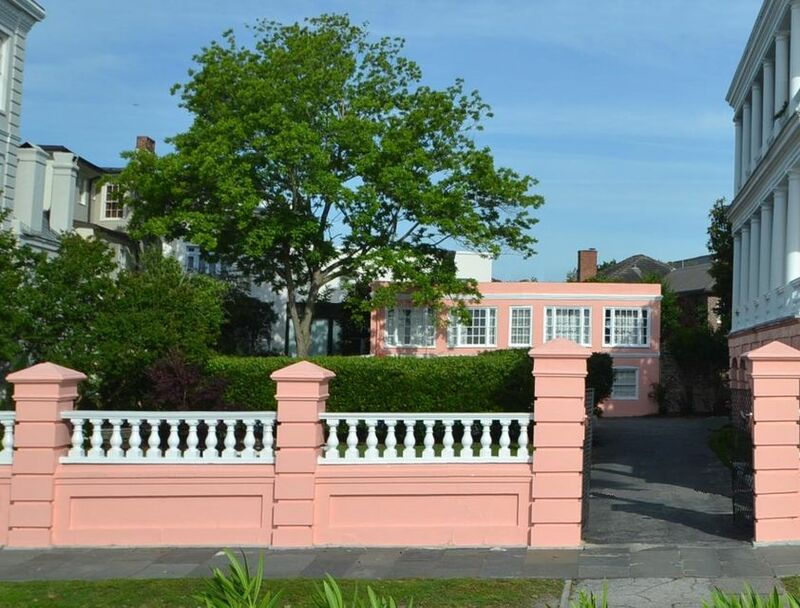 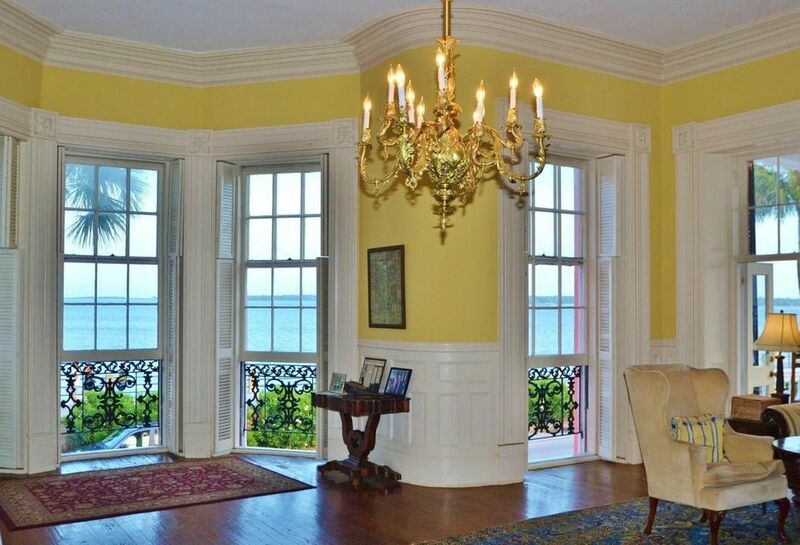 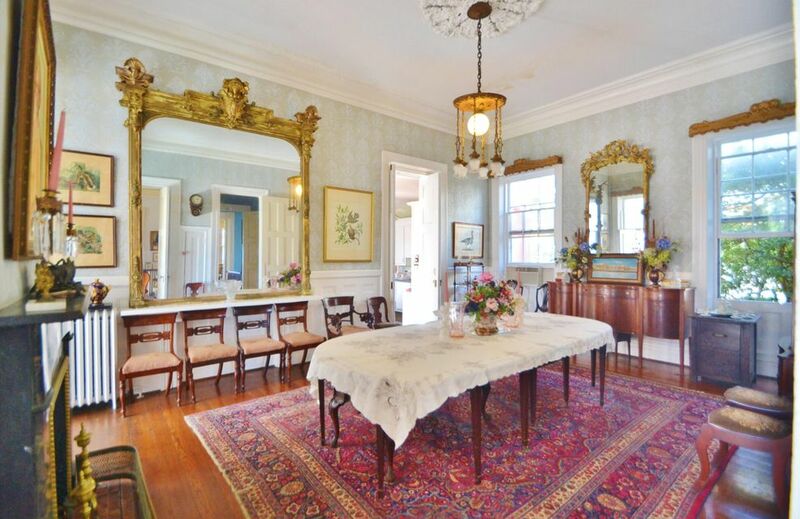 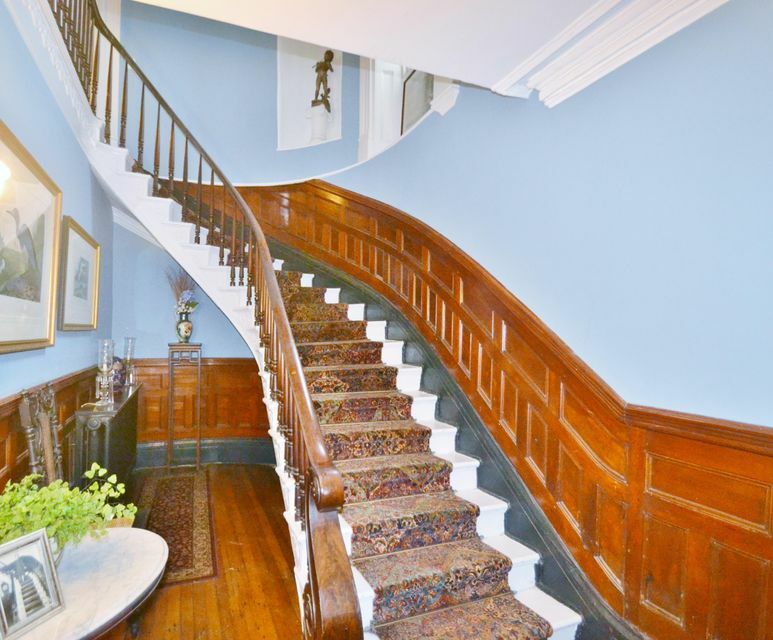 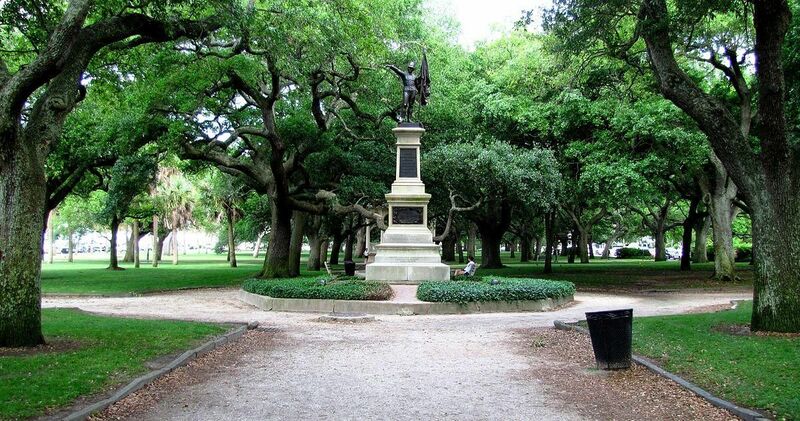 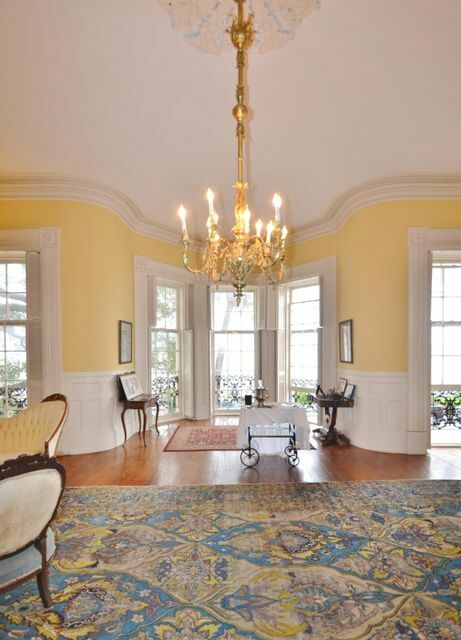 1848 John Ravenel House: Main house with 7 bedrooms, carriage house with 3 bedrooms, double lot, garden and pool. 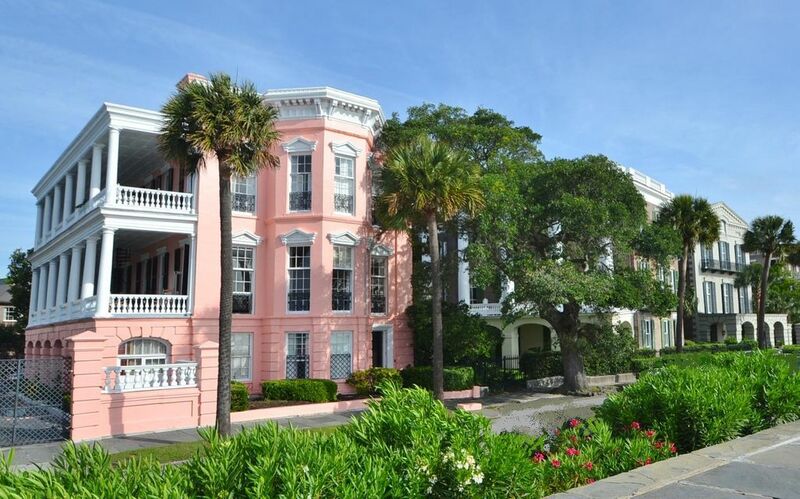 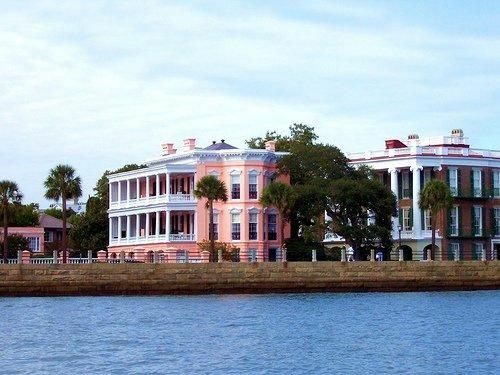 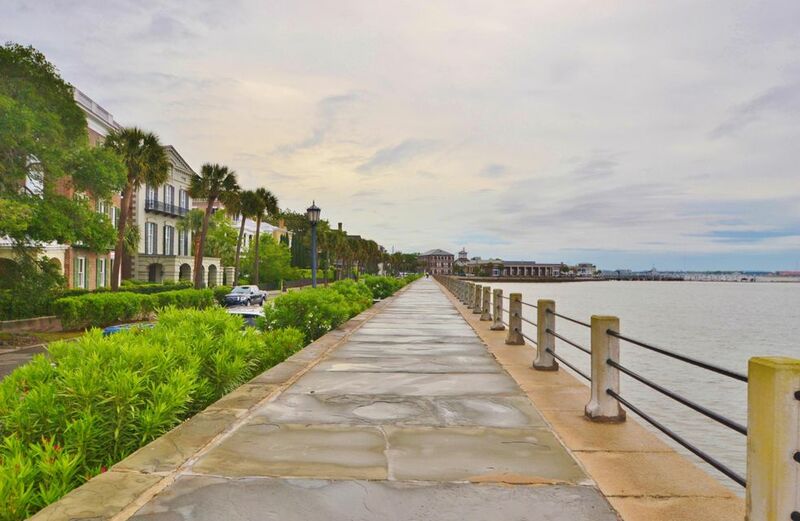 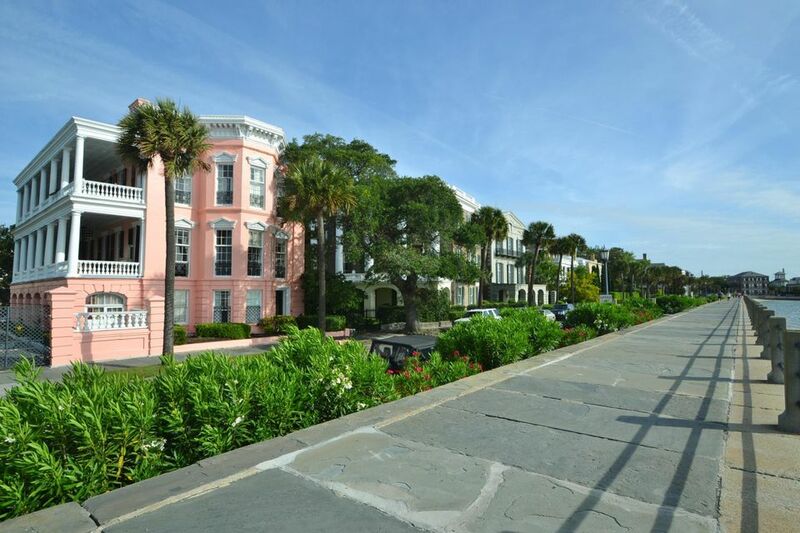 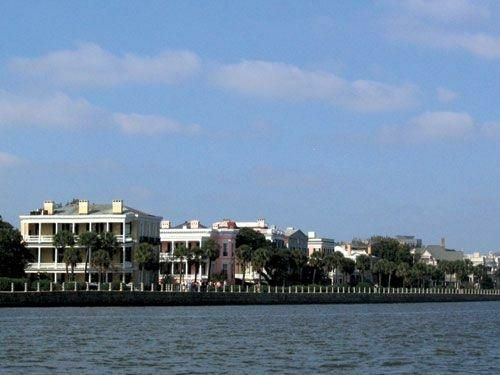 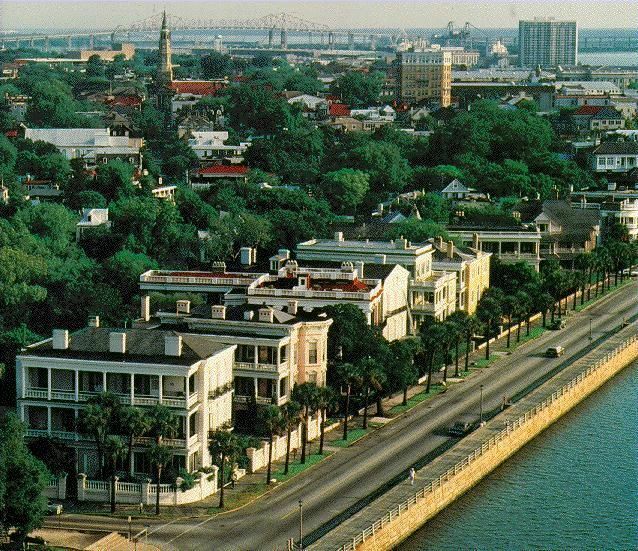 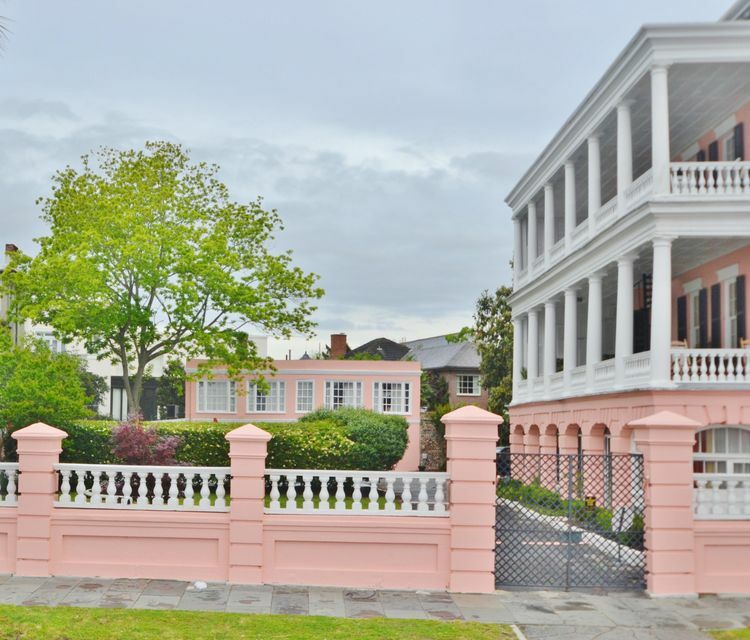 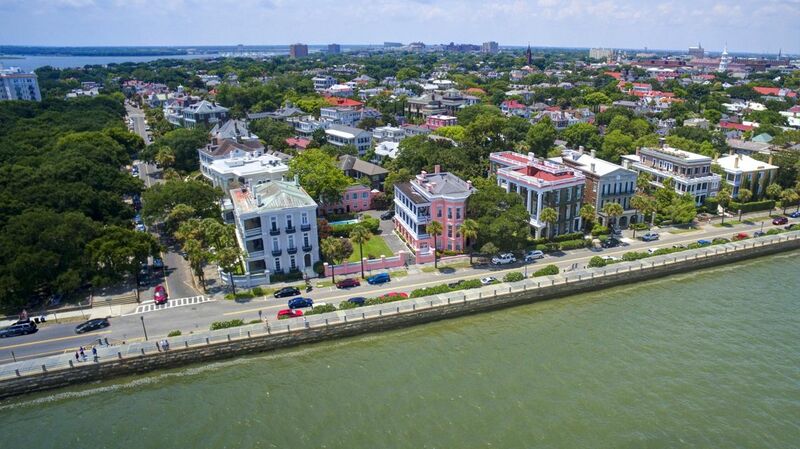 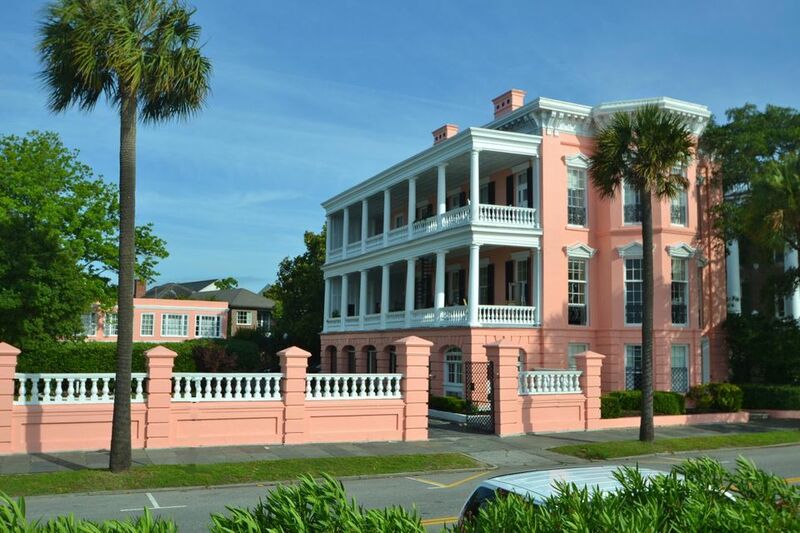 Charleston landmark stands in what may be the most elegant row of waterfront houses in the country. 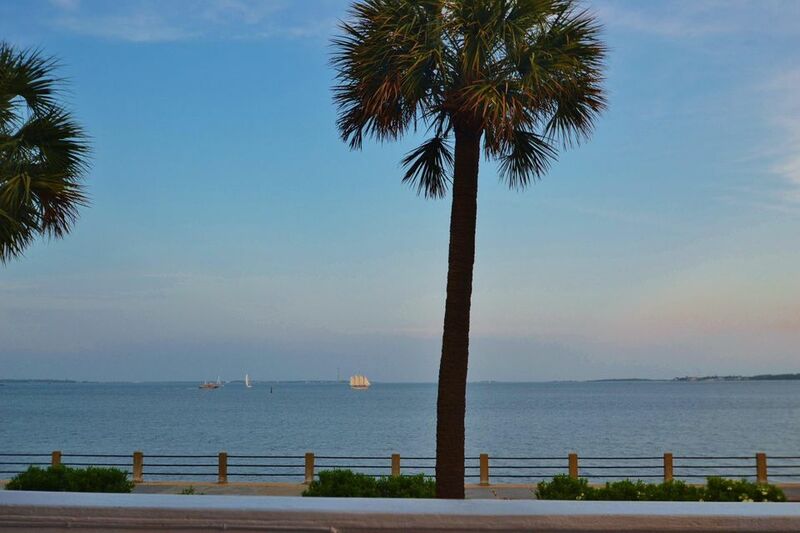 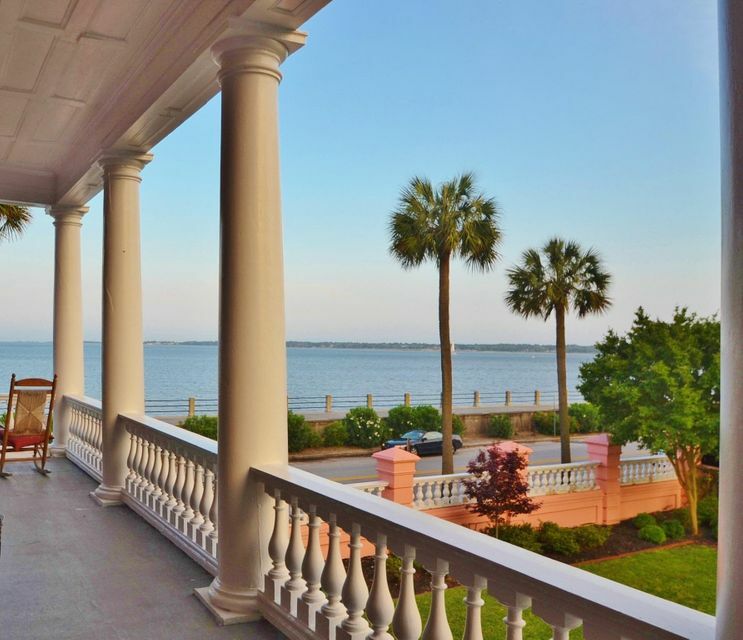 The view is spectacular: the bridge to the northeast, Fort Johnson to the southeast, and in between there is Castle Pinckney, Fort Sumter, Sullivans Island and the Atlantic Ocean. 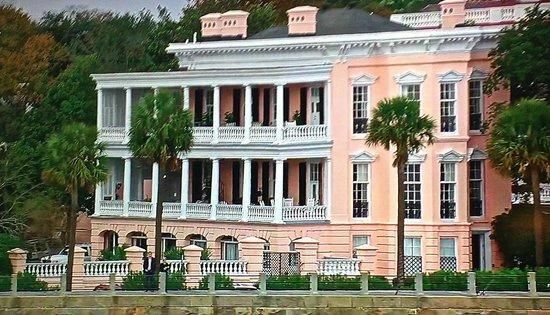 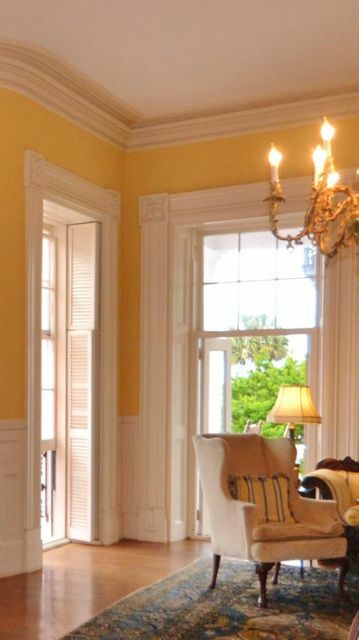 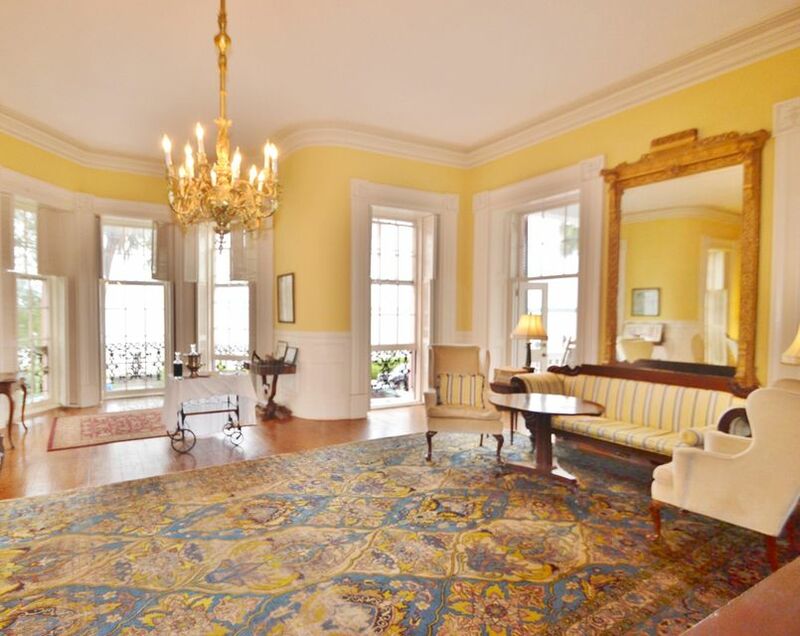 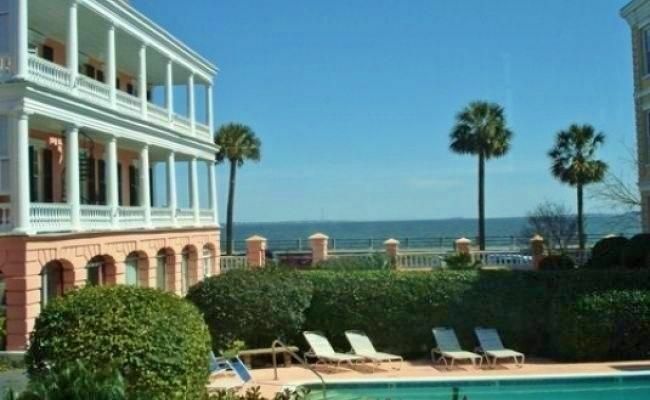 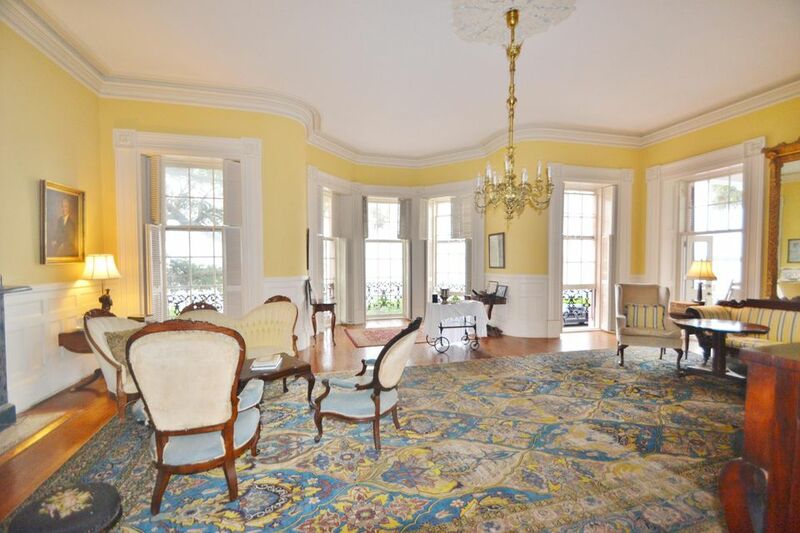 With grand piazzas and a drawing room that extends across the full front of the house, there is something so special about this stately house and the changing light of Charleston Harbor that is nothing less than magical. 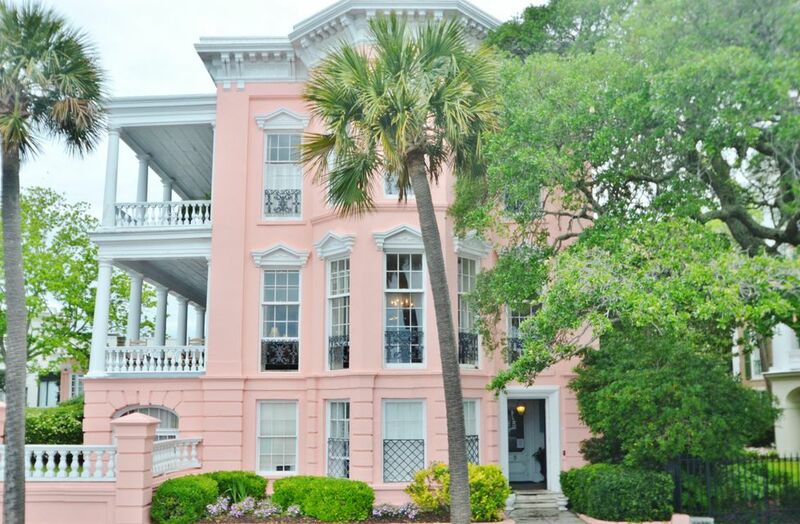 In 170 years of history just three families have lived here, preserving a remarkably original interior and an exterior restored after Civil War shelling and after the 1886 earthquake. 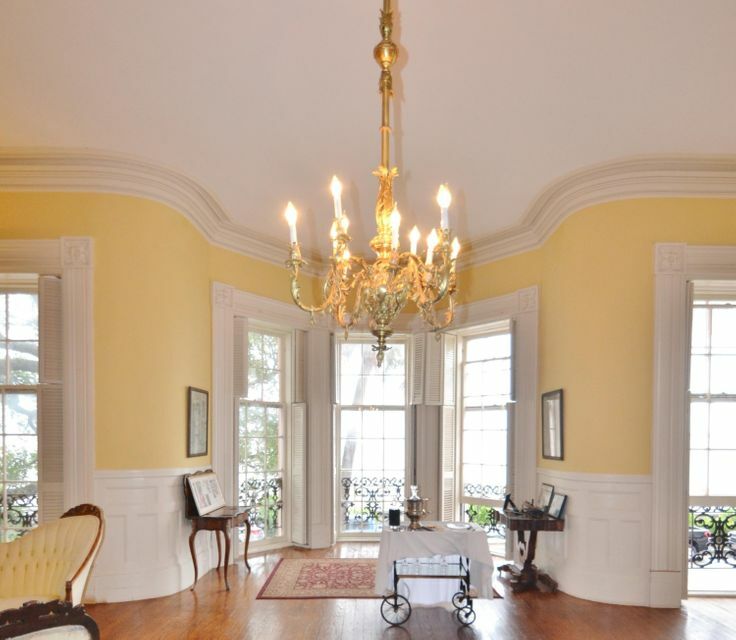 Available: floor plans, full history, architectural details.